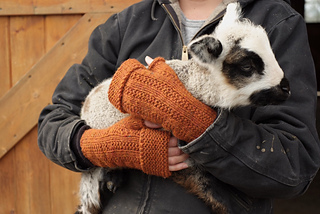 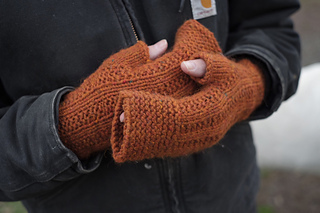 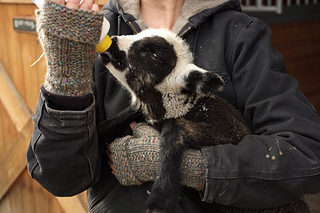 Lambing season has arrived and so have the Tolt Lambing Mitts. 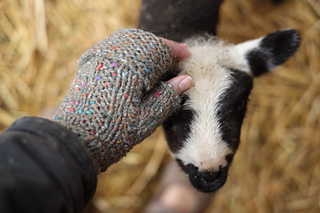 These hardy fingerless mitts will keep you warm during the cold morning and evening barn chores and even in the wee hours when you are called to the birth of new lambs. 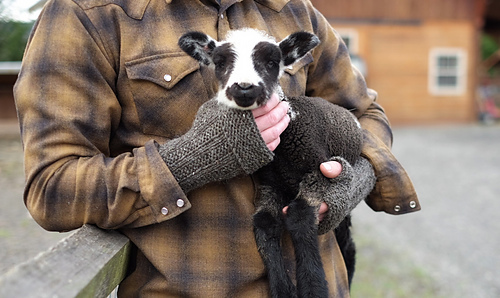 Tolt Lambing Mitts can be worn with garter band up for warm fingers or garter band rolled down for when you need to get to work.